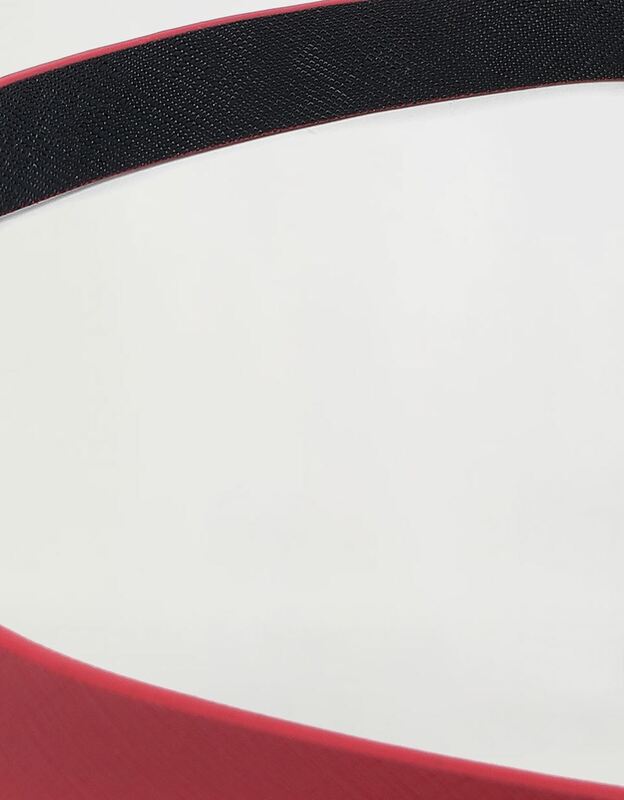 The novel rivet in the shape of the Shield is the winning feature of this new women's belt with elegant lines. 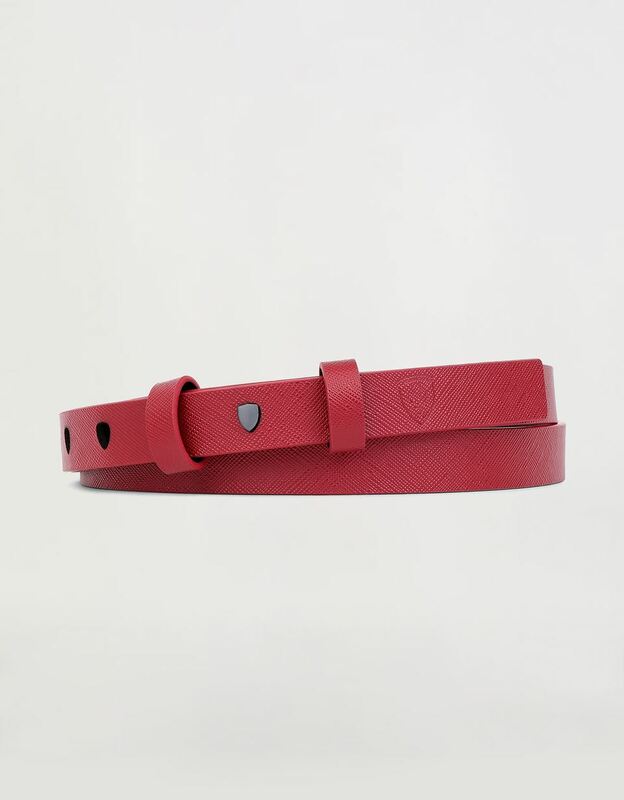 Minimalist and refined in its details, this Scuderia Ferrari belt is made of unstitched SaffianoSaffiano is a type of leather with an iconic print that offers good resistance to abrasions, water, scratches and stains. Accessories made of Saffiano are therefore practical for use, while maintaining the typical elegance of leather. leather, which is particularly durable and practical and also elegant in design. 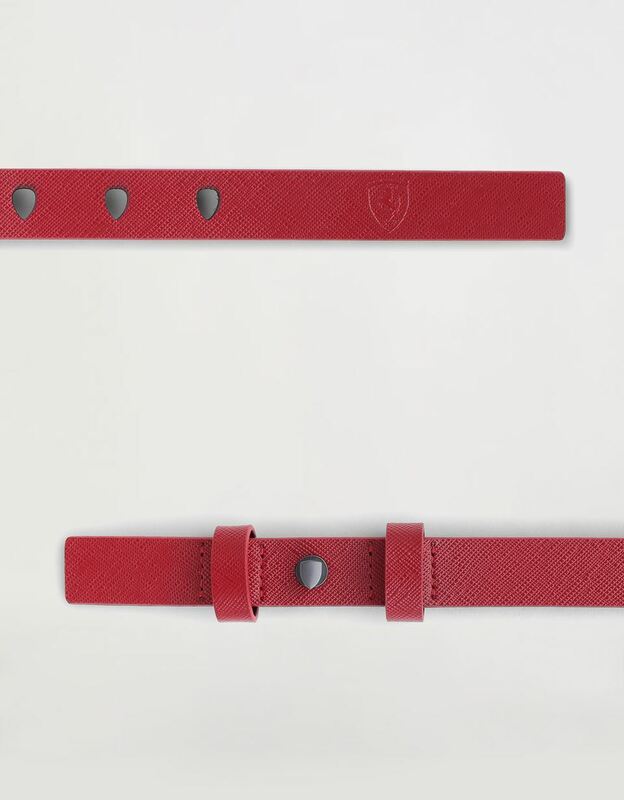 The innovative metal rivet with a gunmetal finish repeats the legendary shape of the Ferrari Shield and expresses all the passion for the Maranello team. 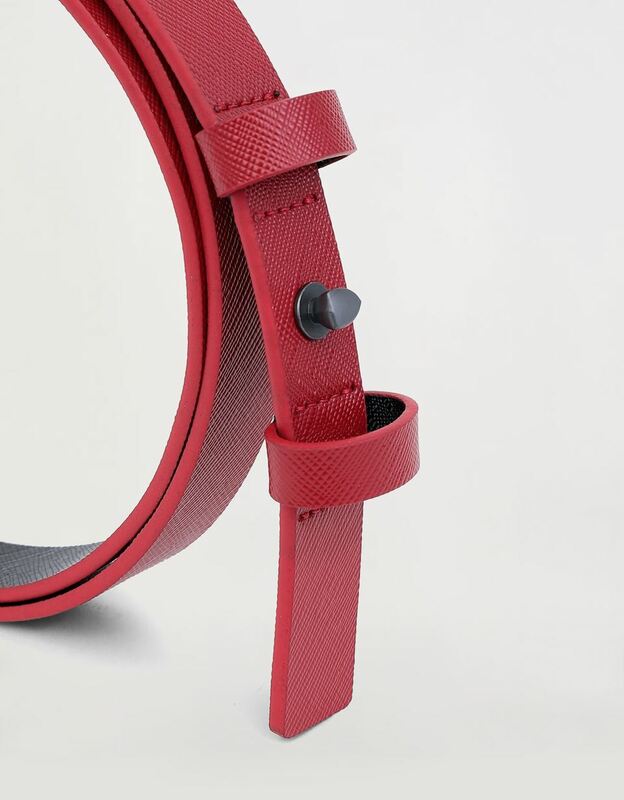 With its understated character, this new women's belt gives a sporty but refined touch to the casual and urban wardrobe of the Ferrari enthusiast and is ideal to wear with the Scuderia Ferrari jumpsuit with laurel leaf embroidery.